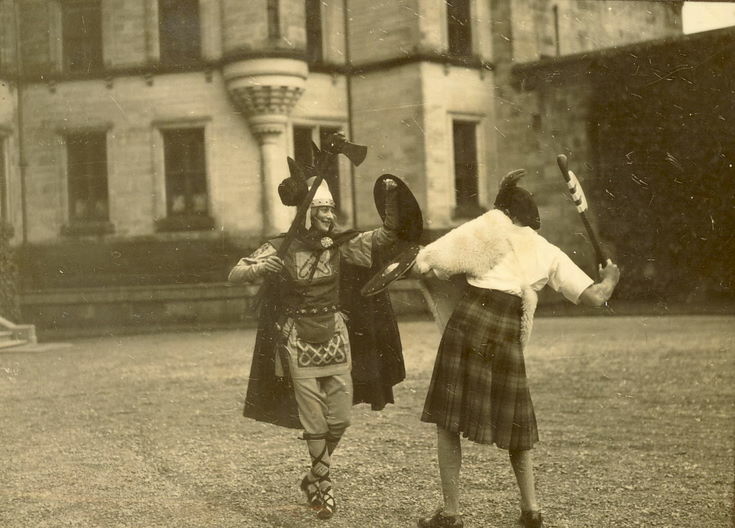 Monochrome photograph of performers in costume in a mock battle, with Dunrobin Castle in the background. Part of the Dornoch 1928 Pageant. One of five photographs, (two to a page) in an album with stamp of C M Gillespie, Castle Street, Dornoch inside.